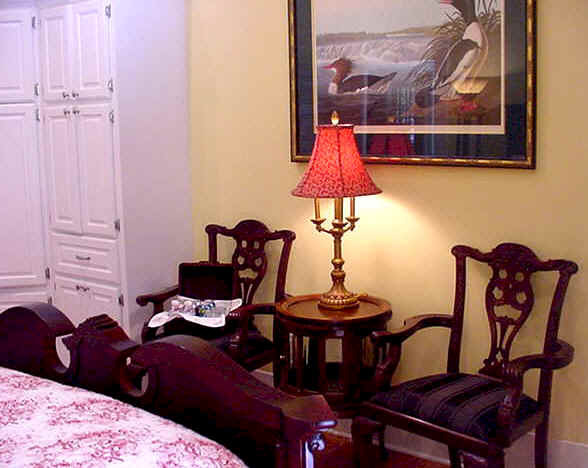 Handsomely decorated guest rooms feature reproduction period style furnishings with comfortable sitting areas and spacious private baths with Jacuzzi tubs. 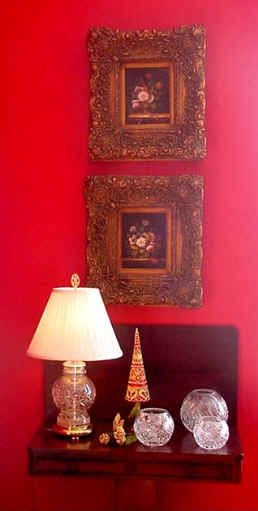 Named after Stella Marie Rusca Reinsch, the sister of Joseph Delmonico Rusca, this room overlooks the magnificent Rusca gardens. Stella Rusca Reinsch formerly resided in a house next to The Rusca House that was moved several years ago. 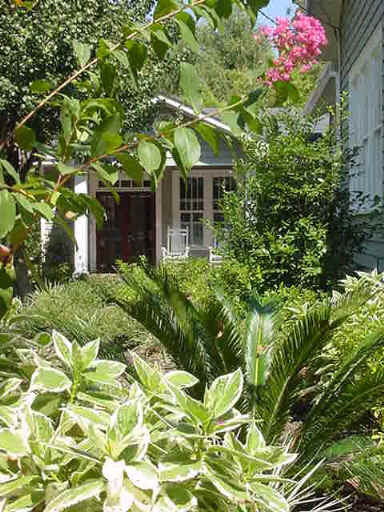 Today, Stella's former property comprises the Rusca gardens, which is one the largest and picturesque gardens in the Natchitoches Historic District. 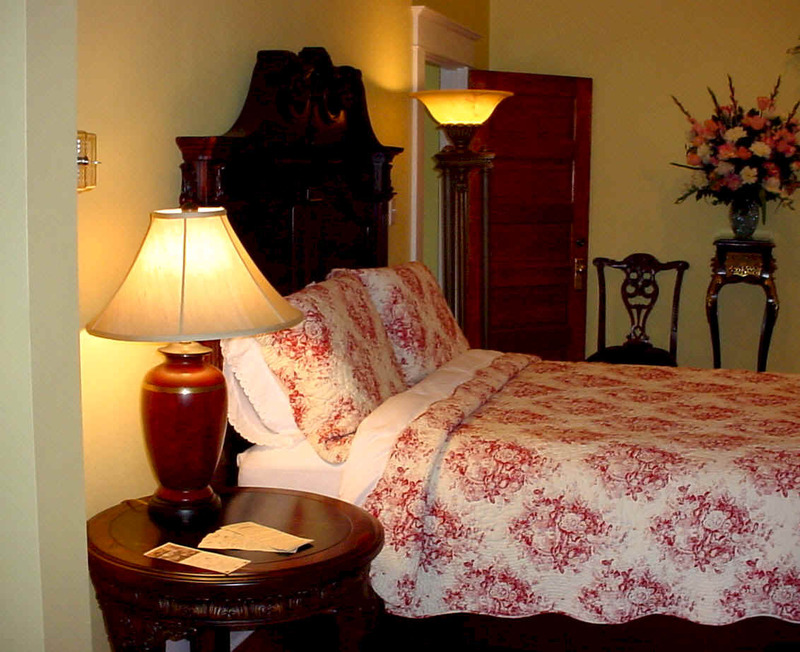 The room features a queen size mahogany bed, green tapestry chairs, floral arrangements and a spacious bath with a Jacuzzi tub. 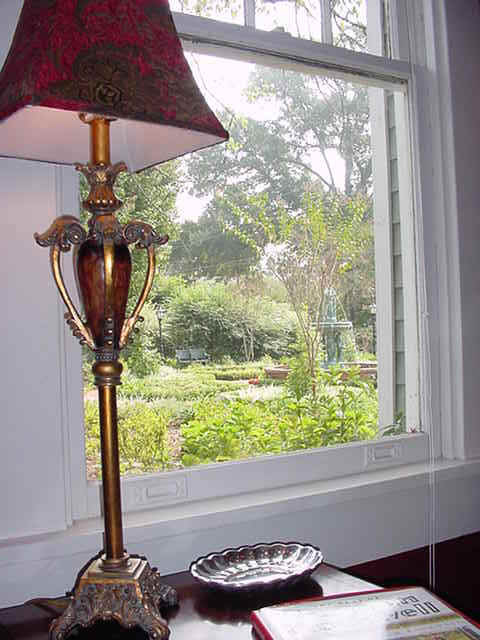 Sit on the private deck overlooking the formal gardens and enjoy a glass of your favorite beverage. 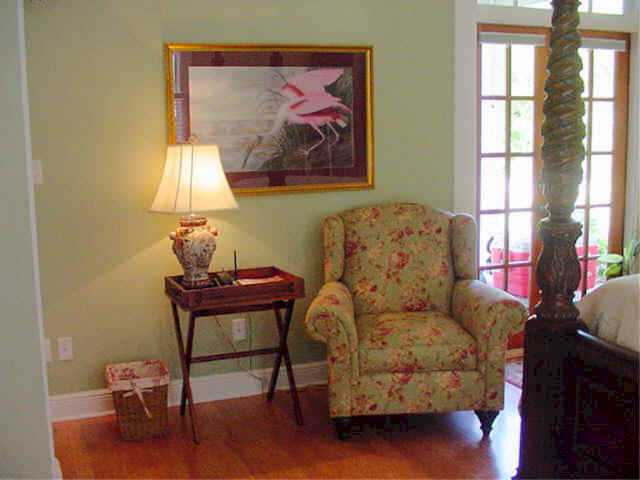 Named after Pearl Kyle Rusca, wife of Joseph Delmonico Rusca, this room is decorated in an elegant and relaxing light shade of green. 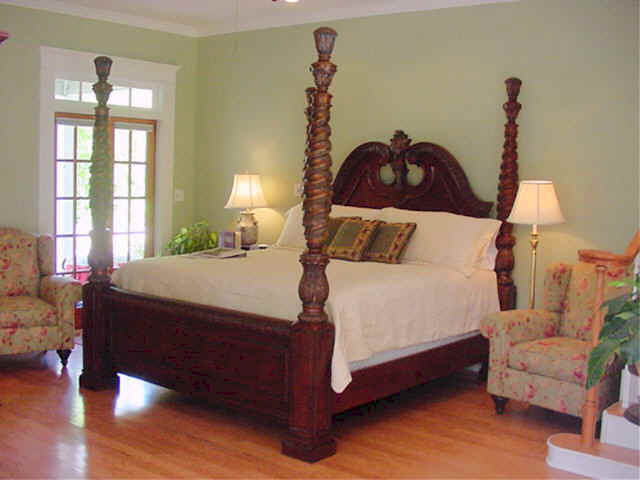 Lovely and spacious, with a king size bed and matching armoire complete the graceful formality of this room. Charming seating with green and red floral chairs and also gold wingback chairs, this room provides two views of the formal gardens. 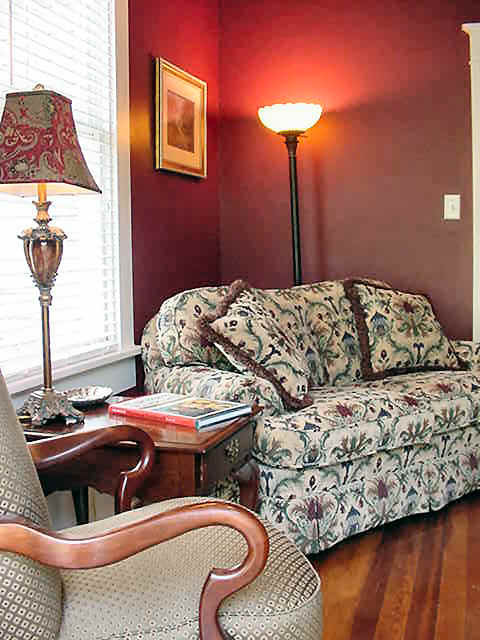 Relax in the rocking chairs on the adjoining brick porch or take a stroll through the picturesque gardens, which are highlighted by seasonal flowers and trees. 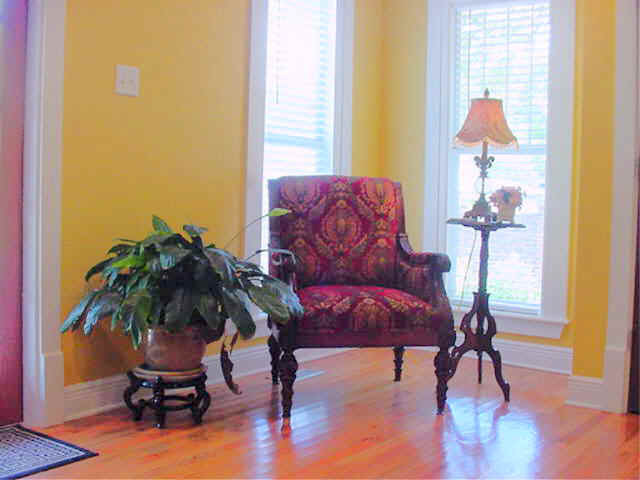 Watch as azaleas, tulips, pansies, dogwoods and crepe myrtles blossom before your eyes. After a day of shopping and dining in the historic district, which is only a few blocks away, take a relaxing bath in your own private Jacuzzi tub. 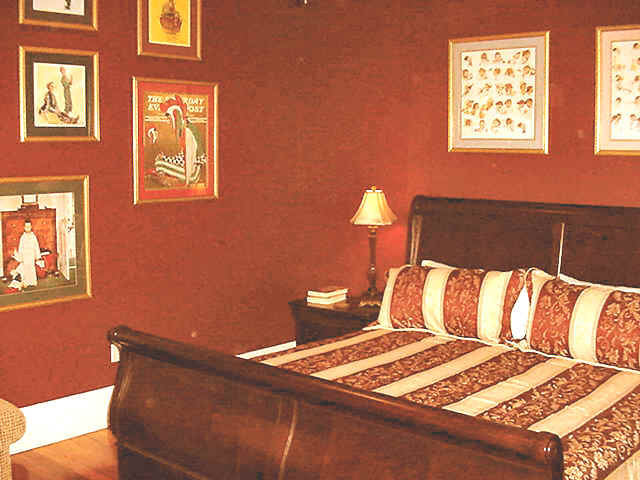 The St. Elmo Suite, named in honor of St. Elmo Rusca, a relative of J.D. 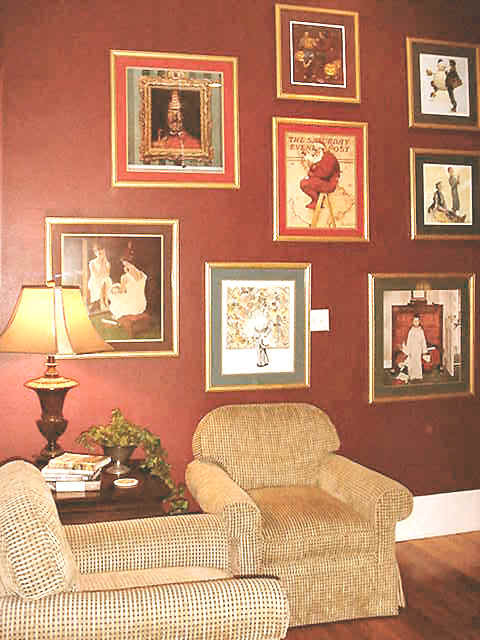 and Pearl Rusca, is decorated in a rich cranberry color and showcases the owners Norman Rockwell collection of prints. 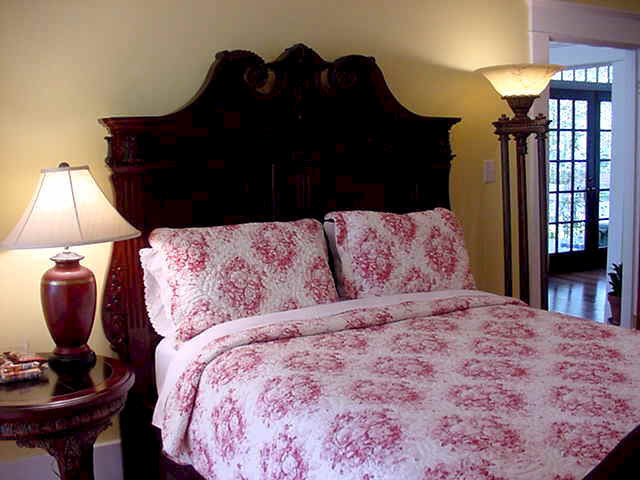 This suite has views of the Rusca House formal gardens and fountains. 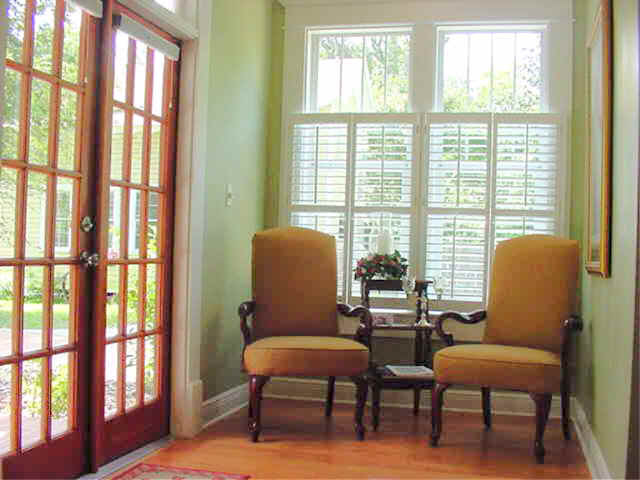 A separate sitting room adjacent to the bedroom contains French doors, which lead to a brick patio in the rear gardens. 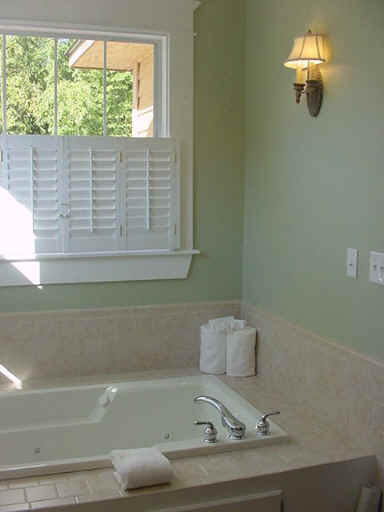 The focal point of the spacious bathroom is a scalloped two-person Jacuzzi tub. 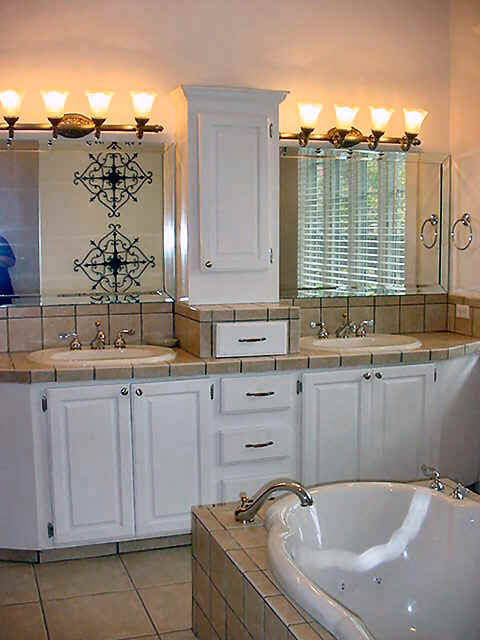 The bathroom also contains a double sink vanity and walk-in shower. 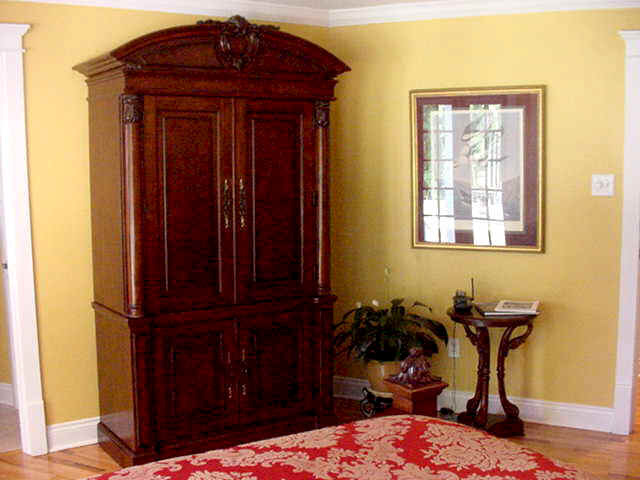 The bedroom boast a cherry, king sized sleigh bed, an armoire and an additional sitting area. 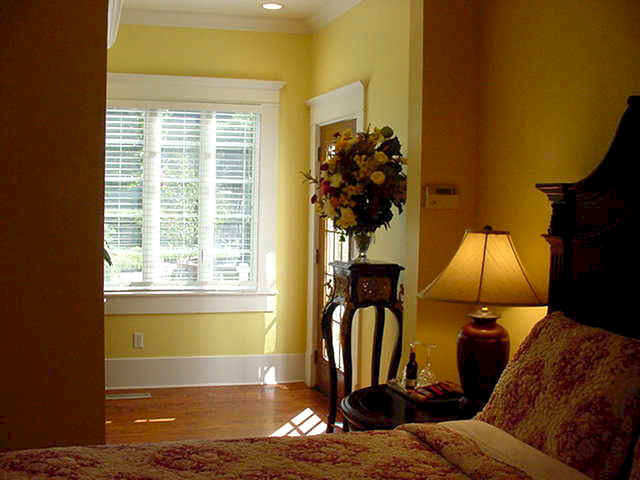 Copyright � 2002-2005 Rusca House, LLC All rights reserved.